Gasification is a highly efficient system that turns the energy obtained from biofuel into electricity and thermal energy. In the wood biomass gasification plant of BM Greenpower, once dried and ready to be used, woody biomass is sent toa gasifier, which processes it and generates syngas and thermal energy. The generated energy content feeds an endothermic engine that converts the energy contained in syngas into mechanical and thermal energy. The engine is connected with an electric generator that turns mechanical energy into electricity. Energy is networked. 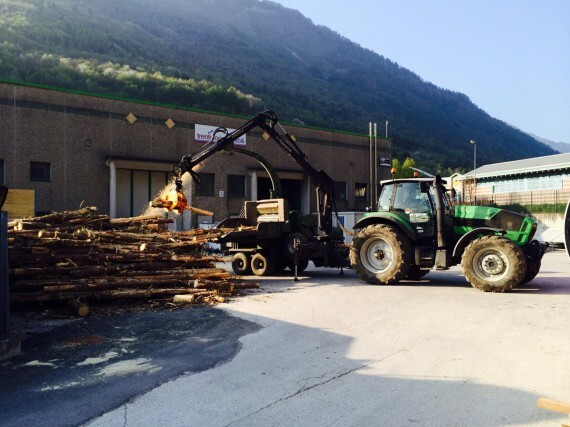 Heat energy is used to dry wood chips and can also be used to heat water or for district heating systems. Thanks to a control panel with a touch screen monitor, customers have access to all the thermal and electrical parameters of the plant, can control it and monitorits correct functioning. BM Greenpower team of engineers and experts in the agro-forestry sector offer customers complete advice, not only for the realization of a plant but also for an analysis of the available raw material to optimize its utilisation and, thus, the investment.